We did write how a blog on how to check Einstein Analytics License Assignment, this blog will share about checking Inbox license in Salesforce Classic and Lightning. Inbox License Assignment are pretty similar to Einstein Analytics License Assignment, you can see how many Inbox total licenses you have, how many licenses used and remaining licenses in Company Information under Permission Sets Licenses in the setup menu. Next question, I would like to see who has this licenses assigned? 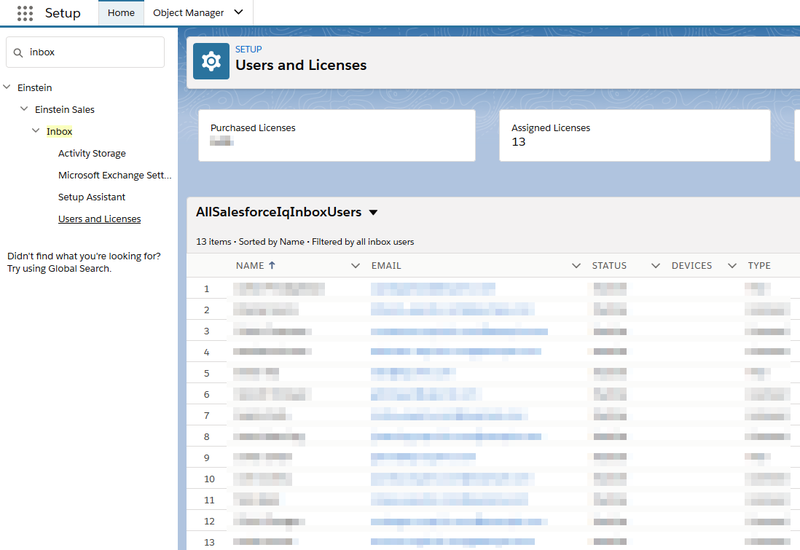 If you are in Lightning, this is pretty simple, search for Inbox in the setup menu and you will see Users and Licenses. Next, if I manually open the user detail, how I can see if the license has been assigned? Is it under Permission Set Assignments or Permission Set License Assignments related list? This is exactly the same with Einstein Analytics licenses assignment, once you add the Permission Set, the Permission Set License will be auto added, but not the other way round. 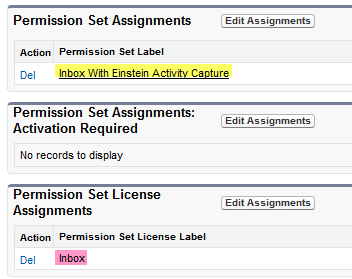 From above screenshot, once you add "Inbox With Einstein Activity Capture" permission set, Inbox license will be auto-granted. Einstein Activity Capture is introduced on Summer '18 release, it is free up to 100 licenses for org with Sales Cloud license. When sales rep connects their Google™ or Microsoft® account to Salesforce, activities from those accounts show up on business and person accounts, contacts, leads, opportunities, quotes, and contracts in Salesforce. 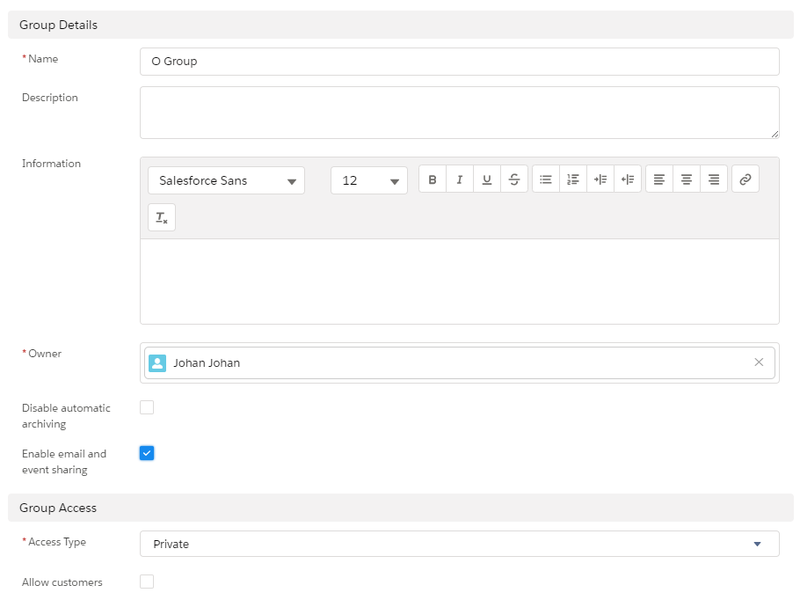 Plus, reps get read-only access to the Activities dashboard, which lets them view a summary of sales activities. 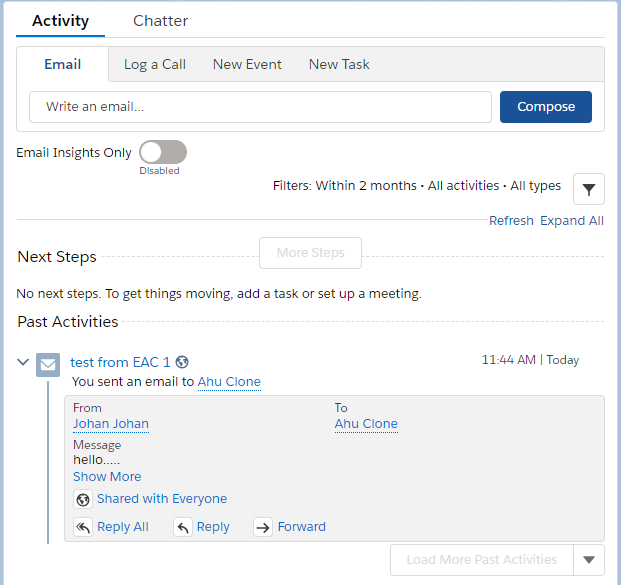 Reach out to Salesforce Support to enable Einstein Activity Capture. 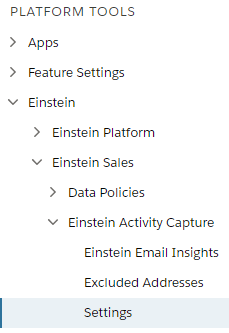 Once enabled, you should see Einstein Activity Capture under the setup menu. 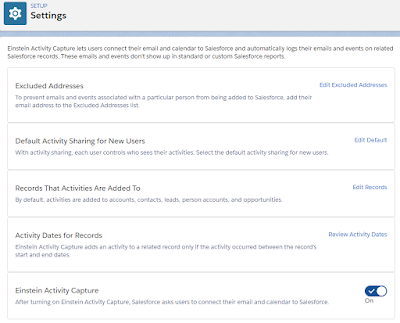 Then, enable Einstein Activity Capture from Setting menu. 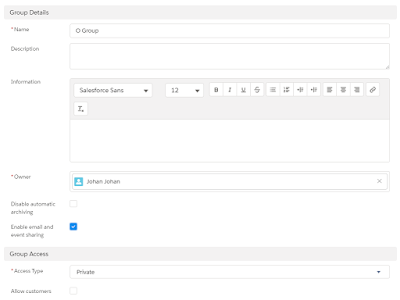 Once the permission set given to the user, the user needs to configure it from their setup menu. 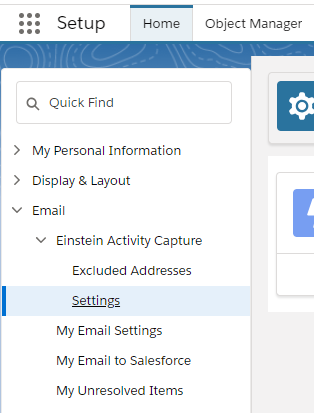 Click username from the top right corner, click Settings, looks for Einstein Activity Capture, then click Settings. 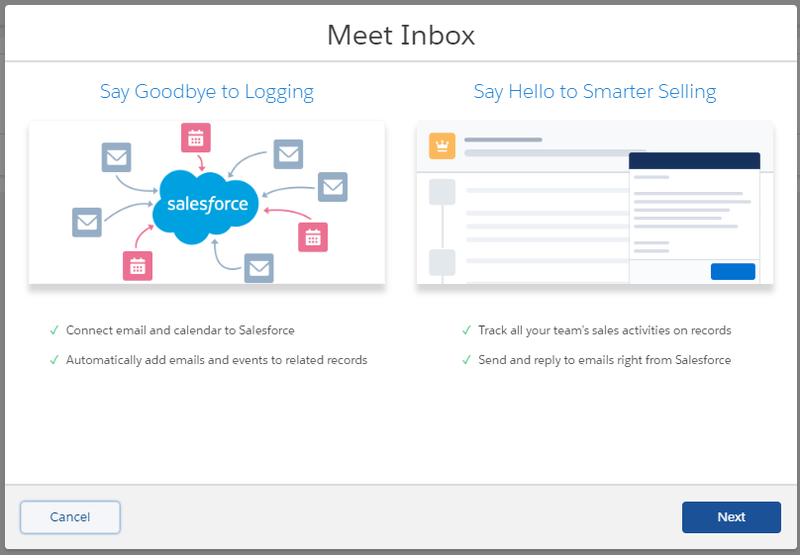 It will popup Meet Inbox window, then click Next and follow the wizard. 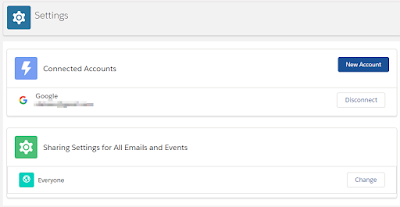 Then, select a Google or Microsoft account to connect. 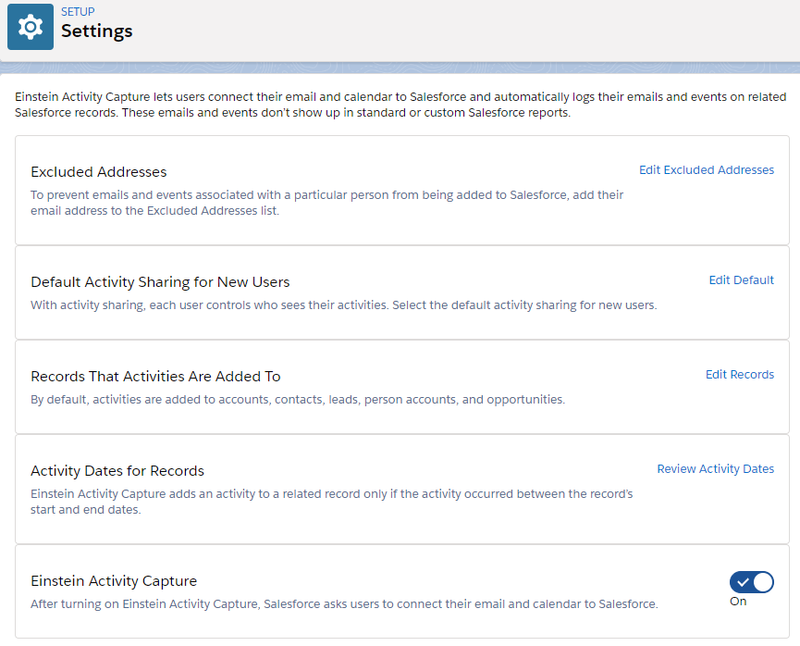 Once account added, it will be shown in Connected Account under user Einstein Activity Capture setup menu. Here you have the option if you want to share the emails and events to Everyone, My Groups, and Only Me. 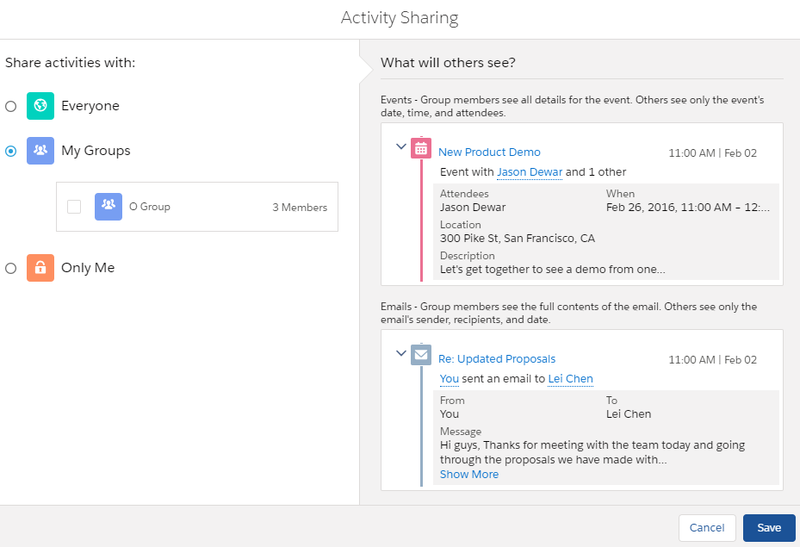 Events - Others see only the event's date, time, and attendees. Emails - Others see only an email's sender, recipients, and date. Events - Others see all details for the event. Emails - Others see the full contents of the email. Events - Group members see all details for the event. Others see only the event's date, time, and attendees. Emails - Group members see the full contents of the email. Others see only the email's sender, recipients, and date. 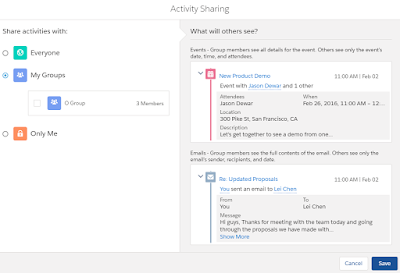 The group here refers to Private or Unlisted Chatter Group, if you are a member of the group, but it shows You have no groups to share with. To share with a group, join or create a private or unlisted group that allows sharing, this means the group has not been enabled for sharing. Based on the email sent out, Salesforce will automatically tag the email to the Contact or Lead as Past Activities. 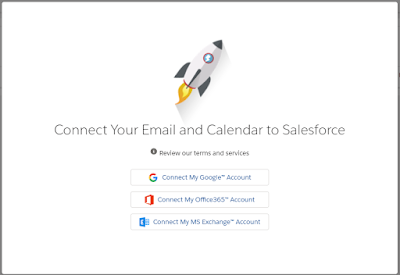 You need to make sure the email address in Salesforce is correct. 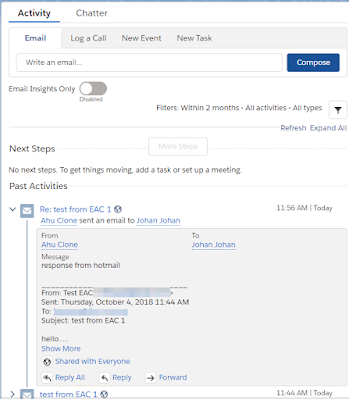 When your contact email you and his/her email address is in Salesforce, the email will auto added as Past Activities too. 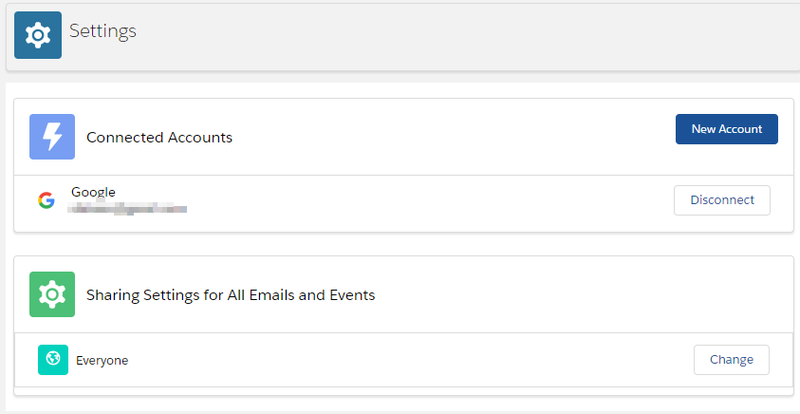 What happened if more than one Lead or Contact with the same email address? The email correspondence will be linked to all Contact and Lead.